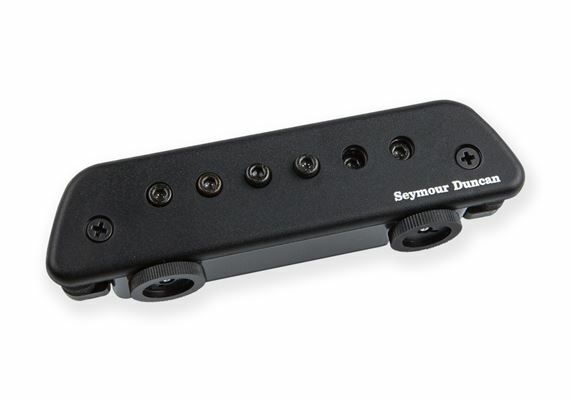 Order your Seymour Duncan Active Mag Acoustic Soundhole Pickup from AMS and enjoy 0% Interest Payment Plans, Free Shipping, Free Extended Warranty & 45 Day Money Back Guarantee. 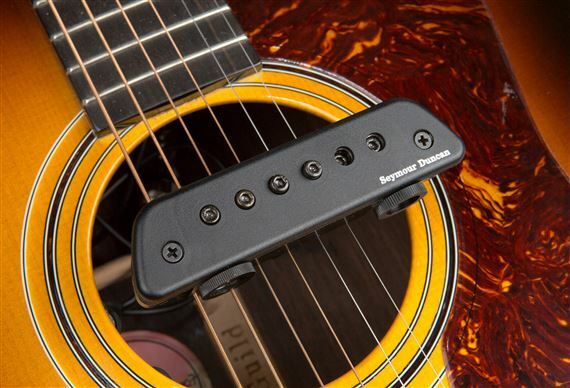 The Active Mag is a warm and natural sounding active magnetic sound-hole pickup that captures and accentuates the best qualities of your acoustic guitar. Voiced to accentuate the best qualities of your acoustic guitar, Active Mag is a high-quality hum canceling acoustic pickup. Adjustable pole pieces allow you to balance the output level of your strings, and volume and magnetic Stack pickup. Active Mag captures the detail and dynamics of your playing and provides warm, clear acoustic tone that complements your guitar whether you play fingerstyle or with a pick, at any volume you need. Active Mag is flexible enough to be useful in almost any context - whether you're playing live or recording, tone controls on the body of the pickup gives you easy access for adjustments. The tone control boosts or cuts treble, allowing you to adjust for the room you're playing in or adapt the voicing of your instrument for multiple genres and styles. Active Mag can pop in and out of your guitar as required (with the endpin jack supported by a special built-in strain relief loop) or can be permanently installed. It's powered by two CR2032 batteries that mount directly to the pickup, making battery changes a cinch.